Melbourne – While most Australians fire up the barbecue and crack open beers to celebrate national day on Friday, Robbie Thorpe will be marching in the shadow of Victoria’s state parliament. Like many Aboriginal and Torres Strait Islander people, he doesn’t see anything to cheer on Australia Day, which marks the arrival of the First Fleet in 1778 to establish a British penal colony. For him, January 26 is “Invasion Day”, a reminder of the dispossession, violence, and loss that colonisation inflicted on the continent’s first peoples. As far as the veteran indigenous activist is concerned, it’s a day for mourning, solemn reflection, and resistance. “Colonialism is a disease and this country has got a mental health problem known as denial of their genocidal acts,” says Thorpe, who will march in Melbourne’s annual Invasion Day rally aimed at changing the date of the national holiday. More than simply symbolising a painful history, January 26 serves as a reminder to many of how Aboriginals remain marginalised to this day. Almost 250 years after European settlement, indigenous Australians on average die a decade earlier than the general population and have access to two-thirds the amount of disposable income. Aboriginal and Torres Strait Islanders, who make up just three percent of the population, have organised en masse against Australia Day since at least 1938, when campaigner William Cooper held the first “Day of Mourning” in downtown Sydney. More recently, though, the effort to change the date has gained momentum as an increasing number of white and other non-indigenous Australians have become attuned to the sensitives around the date. Earlier this month, the leader of the left-leaning Australian Greens, the third force in the country’s politics, said moving Australia Day would be among the party’s priorities in the coming year. 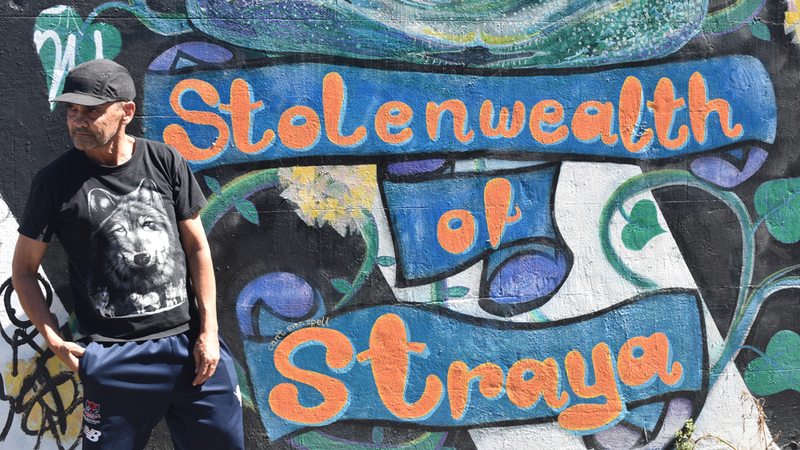 Richard Di Natale, the son of Italian immigrants, cited growing awareness, particularly among young people, that the day represented “hurt and suffering” for Aboriginal people. In November, Triple J, a youth-orientated public radio station, announced it would move its popular annual music countdown from January 26 to the following day, pointing to the controversy around the date. While they’ve grown louder, calls to change Australia Day, which was only instituted as a nationwide holiday in 1994, have faced vigorous pushback, including from the highest levels of government. Earlier this month, Prime Minister Malcolm Turnbull, leader of the centre-right Liberal Party, decried what he said were efforts to turn a day for national unity and pride “into one that would divide us”. “Australia Day is a day to come together and celebrate what unites us, what inspires us, what gives all of us reason to be proud that we are Australian,” Turnbull, a former investment banker and lawyer, said in a video posted on social media. Writing in The Australian newspaper, former prime minister Tony Abbot, one of the country’s most vocal conservatives, went further still, arguing British settlement was on balance “a good thing” for everyone, Aboriginal people included. Bella d’Abrera, director of the Foundations of Western Civilisation Program at the Institute of Public Affairs, a libertarian think-tank, is one of many right-leaning commentators who believes it would be a mistake to not recognise the contributions of British settlement to the country. “The point is the 26th marks the foundation of modern Australia, and modern Australia is defined by things like the rule of law and these principles of Western civilisation that are good, and therefore we need to celebrate it,” d’Abrera says. When it comes to the general public, opinion surveys have thrown up a mixed bag of attitudes, while generally indicating most Australians favour the status quo. In a poll commissioned this month by the Institute of Public Affairs think-tank, 70 percent of respondents said Australian Day should continue to be celebrated on January 26. By contrast, a recent poll by the left-leaning Australia Institute found 56 percent of Australians don’t mind when the national day is held, so long as there is a day to celebrate the nation. “Beyond question, this is a front in Australia’s culture wars or history wars,” says Benjamin Jones, a historian at Canberra’s Australian National University, arguing most ordinary Australians are apathetic about the issue. With both the government and main opposition Labor Party ruling out any change, it seems unlikely Australia Day will be altered in its current form in the near future. But for longtime campaigners such as Thorpe, there are encouraging signs that attitudes can change. 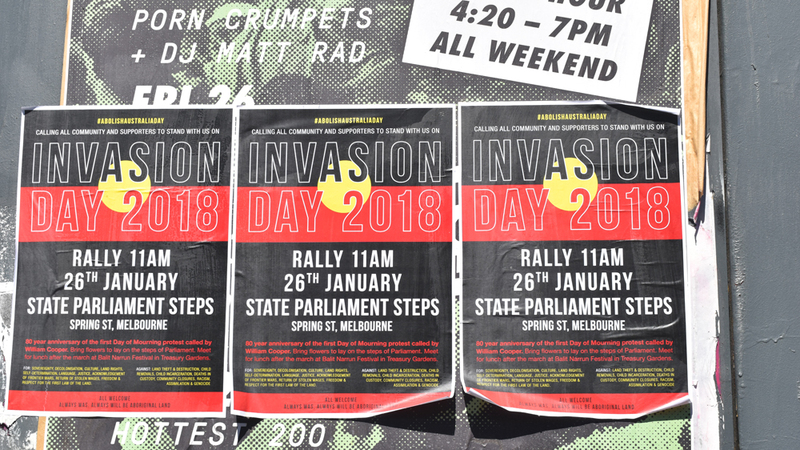 Last year’s Invasion Day rally in Melbourne attracted as many as 50,000 people, according to some estimates – a figure that not only dwarfs previous turnouts but reportedly eclipsed the city’s Australia Day parade as well.